We will arrange a turn-key event for you. 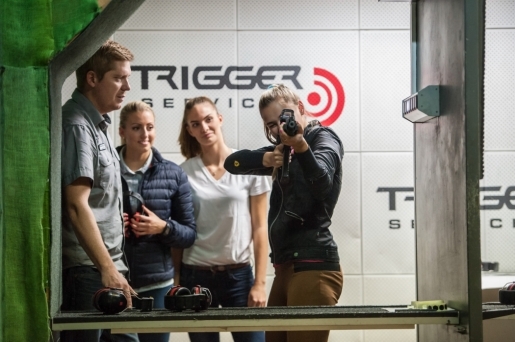 Come with your employees to shoot and enjoy the adrenaline rush that promotes the team spirit. Such an unusual activity will be a very intense experience for all participants. We are prepared both for small groups with no experience with weapons so far, and for those who would like to improve their skills and try new things. As a part of team-building, we'll prepare a small ballistic laboratory so that the whole evening is thematic. Afterwards, you can move to the lounge where we will prepare refreshment for you according to your needs. Have a look at our gallery to see how a team-building event may look like. No need to possess a firearms license for shooting.